For Rishi’s birthday I bought him a Nespresso VertuoPlus. 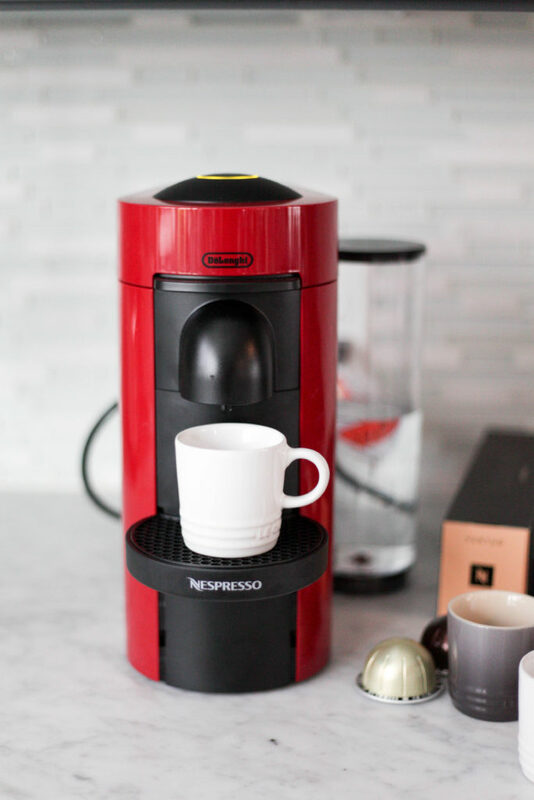 We’re both big coffee lovers and I’ve heard fabulous things about Nespresso machines so I surprised him with one! 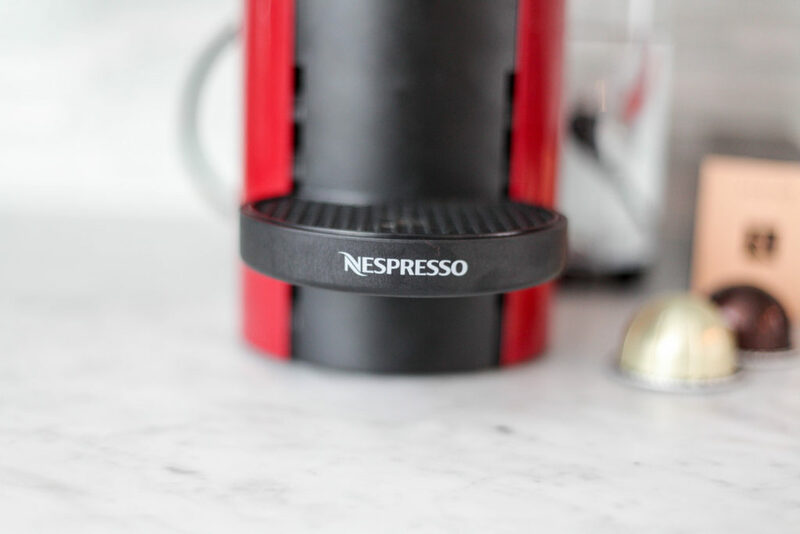 We’ve now had it for about 3 months and I’ve had many of you inquire about it on Instagram so I wanted to share my full Nespresso VertuoPlus Review. 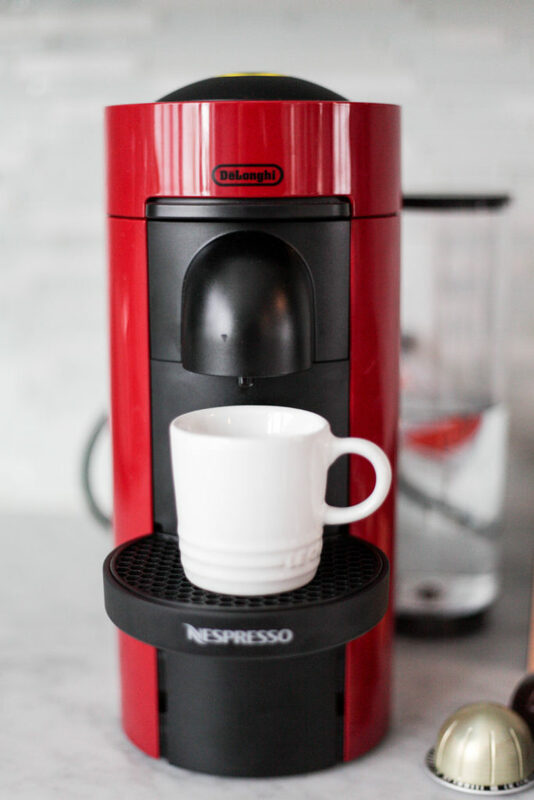 One thing we love the most about this machine is that you can make both espresso as well as regular coffee with it. Rishi often times doesn’t have time to drink a full cup of coffee in the morning before work (I know, he’s crazy…I just chug it ha!) but he loves having a double shot of espresso. The machine itself is super small! The water tank attached to it can move around to fit to the side or behind the machine, making it easy for anywhere on your counter. We actually have it next to our other coffeemaker since we use both of them throughout the week. The taste is hugely dependent on the technology that this machine has. In true Nespresso form, they have carefully chosen the origin and roasting of each coffee blend. And with so many options, that must be quite the feat! I love that there are so many options of flavors and pods available! I have to find one that I didn’t like at all and am definitely starting to find some favorites along the ways. They also created a new brewing system using Centrifusion technology which is basically a fancy way of getting the coffee from the pod to coffee form in your cup. Your machine does capsule-specific brewing depending on the barcode reading associated with the pod your using. The VertuPlus is ready to brew your coffee SO quickly – like 20 seconds. 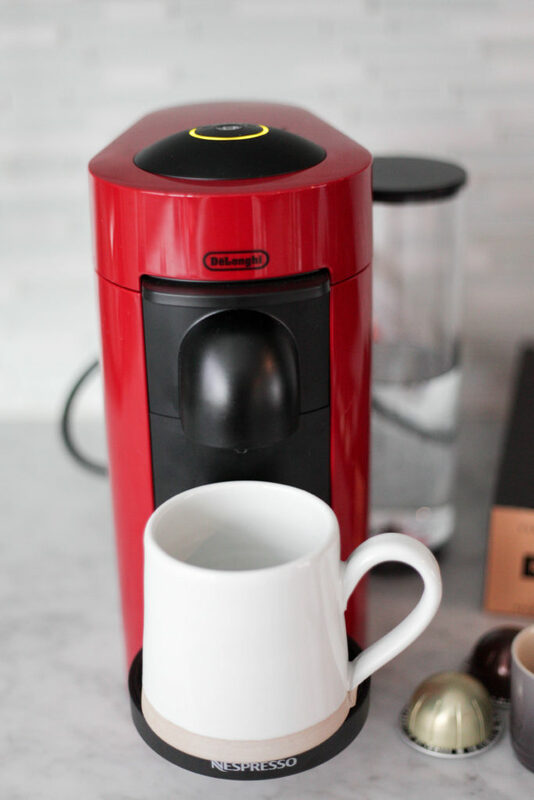 You just push the button on top and once the green light stops spinning, insert your pod and you can start brewing your coffee! There’s no crazy loud airplane noise while your coffee is brewing. 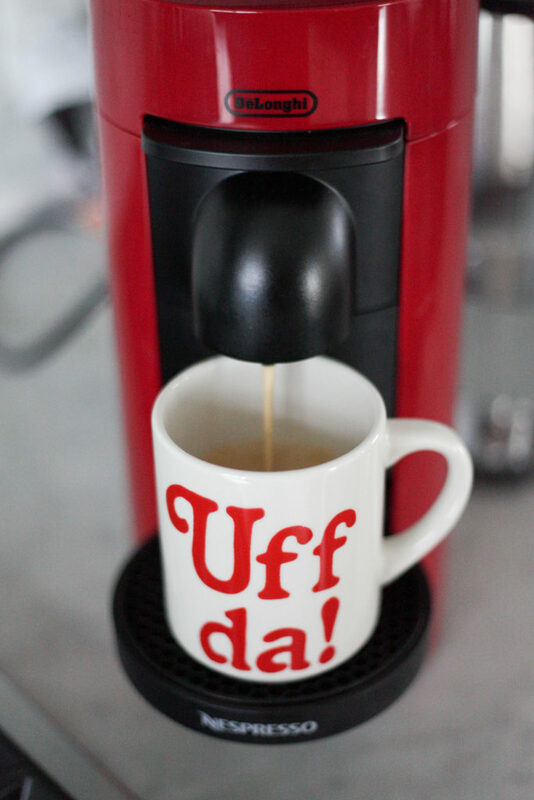 It’s quiet and quick – perfect for those sleepy Monday mornings when you need to get the caffeine drip going quick! 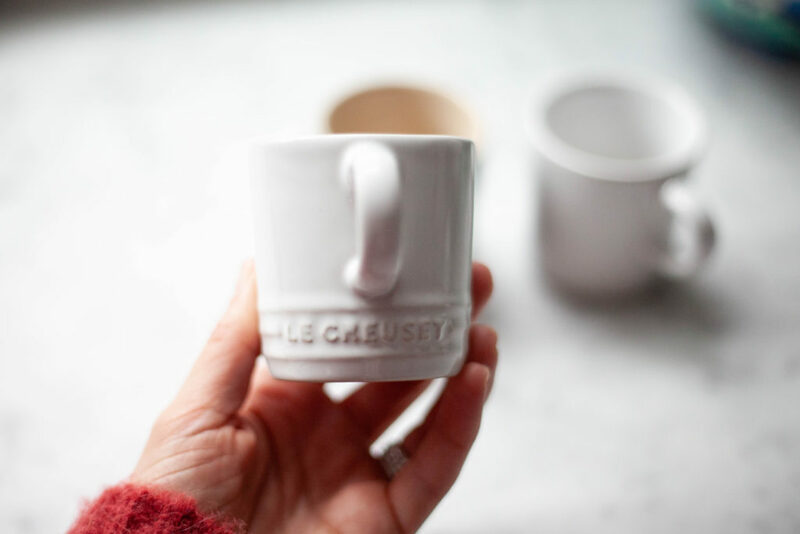 Have a favorite mug that’s bigger or smaller than a “normal” one? No worries! 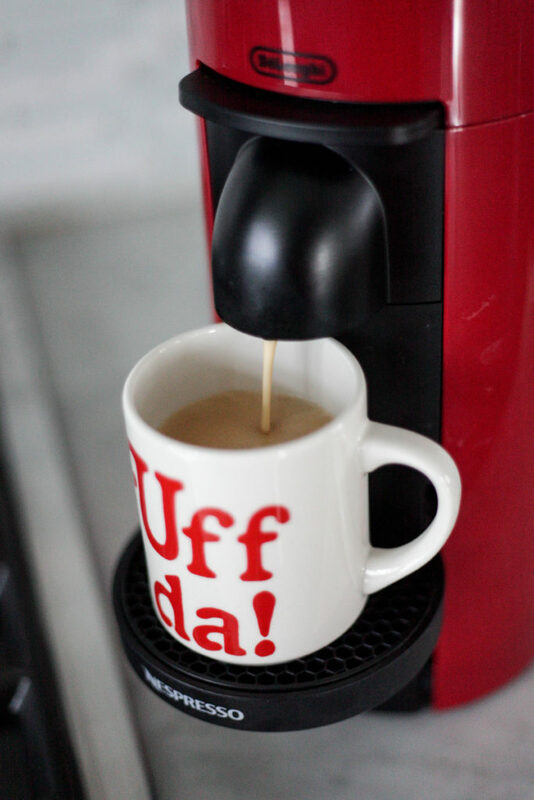 Simply move the tray up or down to accommodate your mug. 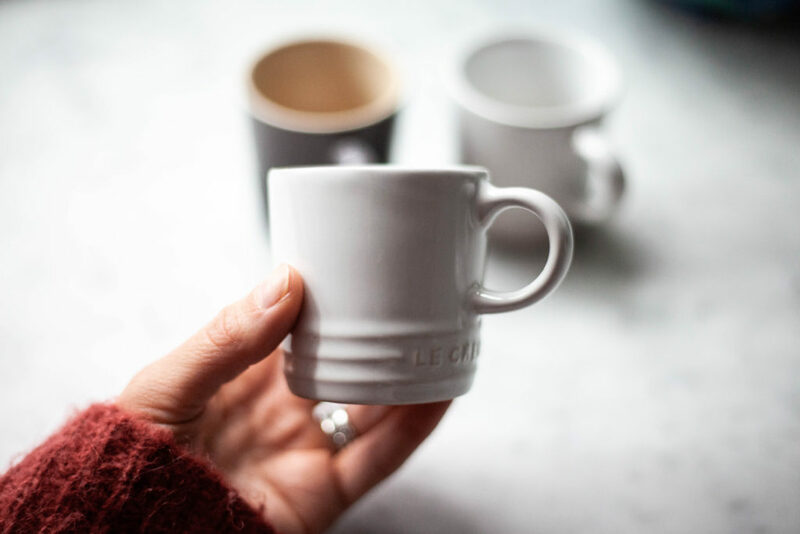 Put it all the way for an espresso much (we have and LOVE these as pictured below). Nespresso so awesomely provides bags to fill up with used pods. They have a pre-paid mailing label so you just need to drop it off at UPS and they’ll recycle it for you! The pods of the Vertuo series are more expensive than the regular ones. Not by much but still more! There’s not a ton of cons so that’s about it! 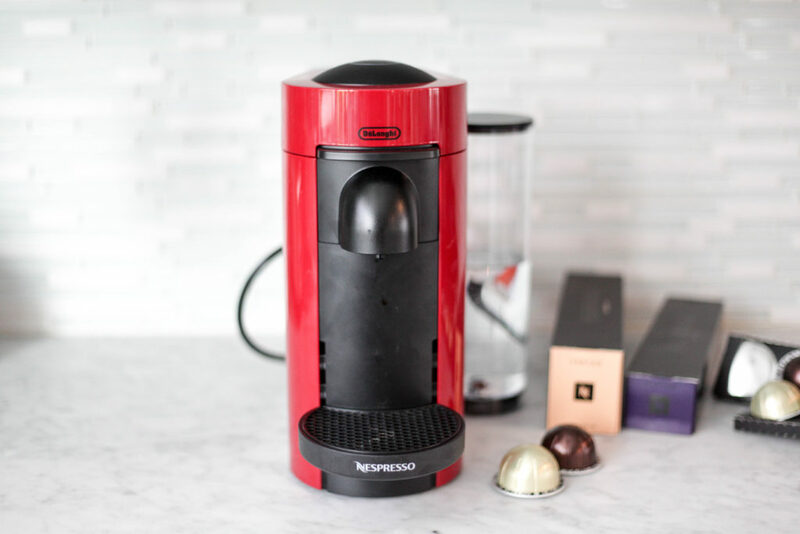 I hope this Nespresso VertuoPlus Review helps you know if something like this is right for you! I actually love ours so much that I bought my mom one for Christmas…and she loves it just as much as we do! And while we’re talking about things in the kitchen, be sure to check out this post with 7 tips to organizing your kitchen pantry! 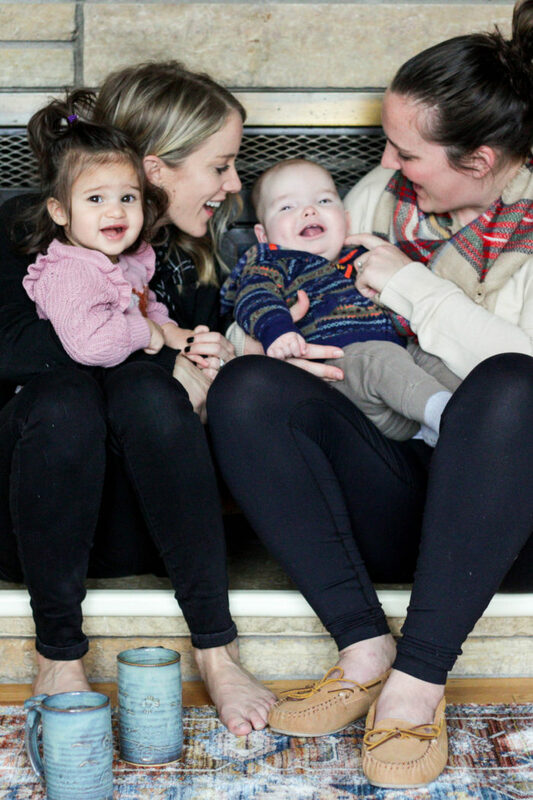 Let me know what other questions you might have and thanks for reading!